CSAs can take many forms, but essentially they are community supported farms in which members contribute to farming projects, usually by way of membership fees, in exchange for fresh, local produce. The concept came to the United States from Europe in the 1980s. They are a great way to take advantage of fresh, locally grown fruit, vegetables, herbs, and more while supporting nearby farms. Each one is different, some offer pickup locations in urban areas, some offer only farm-based pickups. See the list below for local CSAs and find one that is right for you. Still on the fence? Take the quiz and bust some CSA Myths -> "Is a CSA For Me?" Check out the video to the right for a quick visual of what a CSA is all about. ​For more information on CSAs, have a look at this excerpt from Suzanne DeMuth’s book, Community Supported Agriculture (CSA): An Annotated Bibliography and Resource Guide. Or check out some neat infographics on Fix.com. Don’t live in Montgomery County? Find a CSA anywhere in the country at Local Harvest. Organically grown vegetables available through this CSA are a combination of ethnic Indian vegetables along with greens, regular summer vegetables and herbs. Pickup locations are at the Farm, Germantown and Rockville. More locations can be added if needed. Information about the CSA and how to signup is available here. A year-round, free-choice CSA practicing organic growing methods with weekly on-farm pick up offering vegetables, fruit, flowers, pasture raised eggs, pasture raised meat and honey. You-pick options for members throughout the season. Local. Fresh. Regenerative. Common Root Farm near Derwood and Olney, MD is offering a diversified CSA for 2019. Allow Erica and Ryan to grow, harvest, and curate a selection of delicious and nutritious vegetables for you and your family. Seasonal eating at its best! We use regenerative practices free from synthetic fertilizers and pesticides. Methods include low-till, crop rotation, and using permanent beds to bolster soil life which in turn leads to more nutritious vegetables and continually improving soil. Pick-up is available on-farm and at a few locations in Olney. Delivery available upon request. Please visit our website, www.commonrootfarm.com for more details. ​Your Chef’s Table is a small farm in Montgomery County founded by trained personal chef Russ Testa. We offer fresh, hyper-local, Certified Naturally Grown vegetables and pasture-raised eggs and chicken on a weekly basis through our market credit program. Meal kits, which include recipes and ingredients from Your Chef's Table and other local farms, are also available at all pickup locations. Pickup is available year round at the Brookeville Beer Farm in Brookeville and at St. Camillus Church in Silver Spring. Beginning in Spring 2017, we will offer pickup at the Olney Farmers Market in Olney, Md. and at our on-farm stand in Brookeville. More information is available on our website, www.yourchefstable.net. Join us for a season filled with organically grown vegetables and berries and meals packed with fresh flavors from herbs, vegetables, and berries.For us, farming is about planting new seeds, harvesting new produce and enjoying dishes sourced from home and classically trained chefs around the world. Each year we introduce you to vegetables and herbs enjoyed around the world. And we bring the heat, in the heat, with a variety of peppers- sweet and spicy- to keep the flavors up and the salt shaker down. Founded in 1996 and certified organic, our mission is to be a sustainable farm where people with and without developmental disabilities come together to work, learn and grow healthy food. A third of our total yield is distributed to low income residents in Montgomery County. Volunteer and educational opportunities are available. A CSA on a historic property, growing berries, vegetables, eggs and pastured meats. Growing grapes and producing our own wine as well. On farm event hosting. Growing organically (not-certified), emphasizing American heirlooms and the best Asian and European varieties. Now in our 16th year, SFCSA provides certified Biodynamic and Sattvic Organic farm fresh food all year round! 7 pick-up points: Bethesda, Cabin John, Arlington, Takoma Park, Capitol Hill, Cheverly, and Washington Waldorf School, with Home Delivery Option. Many ways to participate: Full year weekly; Full Year Bi-weekly, or, can split a share; Summer/Fall; Winter-Spring; or School Year. 6 week trial available as well. We are a consumer-based CSA that supports a variety of small, family artisans and producers, so our shares include not only veggies but healthy staples such as legumes, whole grains, sourdough bread baked just for us, and more. Additional items available for order/delivery from our nation-wide mail order food service. Full and half shares of fruits and vegetables available for pickup just over the FredCo line. ​For the past decade we have produced organically certified mixed vegetables and small fruit on property owned by Our House Inc, a rehabilitation home for adjudicated young men. *CSA is grocery store style- members choose the items they want on pick up days. For more information check us out on Facebook or our www.thefarmatourhouse.com. To sign up- click HERE . 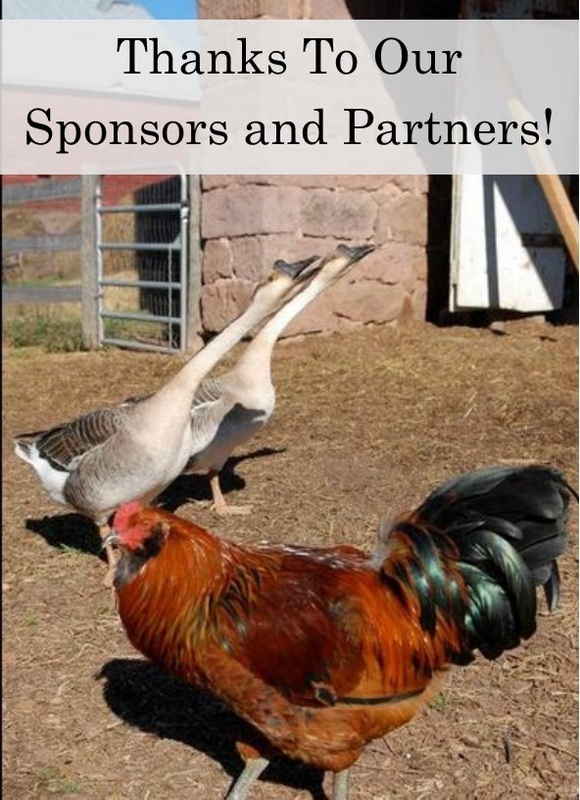 If you have any questions contact Farmer Grossman at thefarmatourhouse@gmail.com or 202-412-5698. Enjoy local, sustainably-grown flowers, cut fresh in the morning just for you, bundled into bright and festive bouquets with blossoms available by their natural bloom time. You’ll receive varied combinations of flowers in season. You’ll be amazed at how long they stay beautiful – the main advantage of buying fresh and local! Our flower subscription plan (a CSA) offers large, beautiful, lush bouquets – prepared and ready for you to pick up on first and third Friday afternoons, or all day Saturday. June – September. Once a month, or twice a month, your choice! ​Pick up locations in Poolesville, Dickerson, Darnestown, and Clarksburg. Brighten up your day with organically grown cut flowers artfully arranged in a beautiful seasonal bouquet. By signing up and becoming a Gypsy CSA member, you will be pampered with an assortment of colorful and unique flowers in season the first Sunday of each month. We offer three bouquet CSA share options to choose from: Spring, Summer and All Season. Contact Farmer Sid Egly at sidegly@yahoo.com or 240-778-4358. What if you could have flowers all spring and summer instead of just on special occasions? Pickup in Chevy Chase and Silver Spring. Pickup in Bethesda and Gaithersburg. Home Deliveries on request with fee. Pickup in Gaithersburg, Silver Spring and Sandy Spring. Biodynamic produce farming and flower shares available. Pickups in NW DC, Bethesda, Silver Spring and Arlington. We feature many greens in winter and spring- spinach, mustard greens, baby salad mix, arugula, asian greens, collards, kale and our specialty “quick saute mix” as well as roots and tubers including carrots, beets, radishes, sun chokes, parsnips and sweet potatoes. We also feature recipe cards, ready to make bags for soups, and delicious convenient healthy chips made of sweet potatoes, carrots, kale, beets and mustard. Holiday gift certificates and csa memberships are also available. Pick-up location in Bethesda-Central Farm Market. Pick-ups in Olney, Forest Glen, Rockville, Silver Spring, Gaithersburg and Kensington.